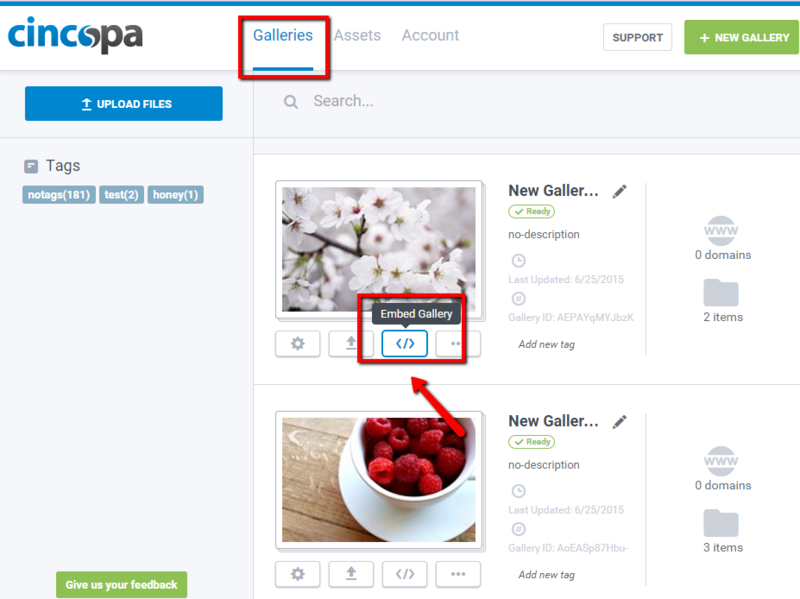 Cincopa offers the easiest way to share your galleries on social networks. 1. Go to 'My galleries' and click on 'Embed Gallery' on the gallery you would like to share. 6. Copy this link and paste it to Facebook, Twitter , Google+ or any other social network of your choice. If you don't have your gallery yet, you can start creating amazing gallery or slideshow here.